I came out at the age of 43 in 1997. At that time, I was living with my husband of 20 years and my 4 daughters. The following spring a friend of mine took me to Provincetown for a day trip and brought me to Womencrafts. She told me that it was a lesbian owned feminist shop and that I could even ask for their “Lesbian Discount”. Being in a state of emotional turmoil, I nervously approached the counter with my purchase and stammered through the shop’s coming out ritual. I was met with a pair of welcoming and loving eyes. I felt immediate affirmation that I wasn’t alone and would get through this rough time in my life. Nine years later, I had crafted quite a collection of mosaic birdhouses, a new hobby that I became passionate about. With the encouragement of some friends, I brought a brown bag full of my birdhouses up to the counter at Womencrafts. I asked the owner, Kathryn, if she would consider selling my work. With those same loving eyes, she admired my work and said “yes”. That was the day that my artistry was first recognized and I have been represented by Womencrafts ever since. Over the years, I became good friends with Kathryn and her beloved partner Debbie. After Debbie’s sad passing, my friendship with Kathryn grew…we fell in love and married. I have been privileged to have met so many amazing, and passionate women and have heard their stories. 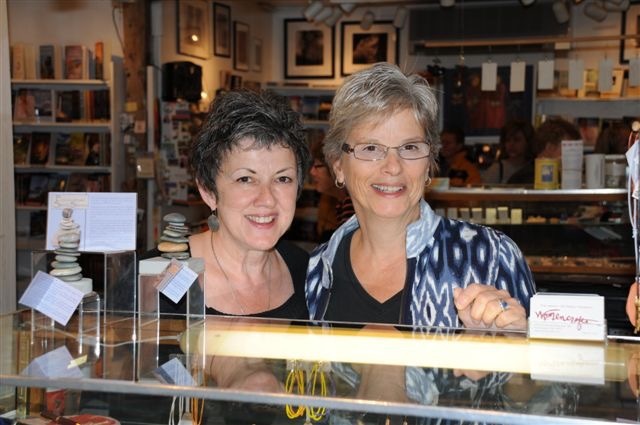 May the energy of Womencrafts with Michelle at the helm continue to support this iconic shop for years to come.